Bust open the bank vault and take the massive win with Barcrest Gaming’s Action Bank online slot. This online video slot has five reels and three rows, so you’ll be spinning the reels across a grid of 15 symbols with 20 ways to win, a classic combo for typical slot games online. Action Bank video slot keeps it simple with a retro feel and easy gameplay that takes you back to those old-school fruit machines UK players are all so familiar with. The slot still packs in Scatters and Wilds, racking up some impressive Multipliers to boot, so read on to find out more about this stellar offering from the minds behind Barcrest! 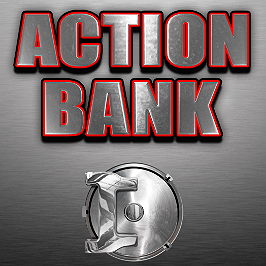 Play Action Bank for Real Money! Get your tools out – the reels of Action Bank are framed by a large, metal vault that's just waiting to be cracked open. The visuals couldn’t be simpler, with the classic slot symbols populating the reels. The sounds make you feel like you’re hitting up a classic fruity down the pub. 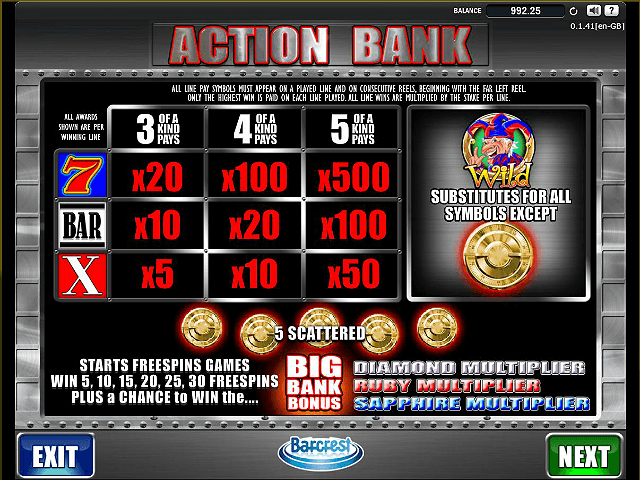 Action Bank game is a medium variance slot that can be played from just 20p per spin all the way up to £200 per spin. It has a 95.16% return to player and a maximum payout of £25,000. 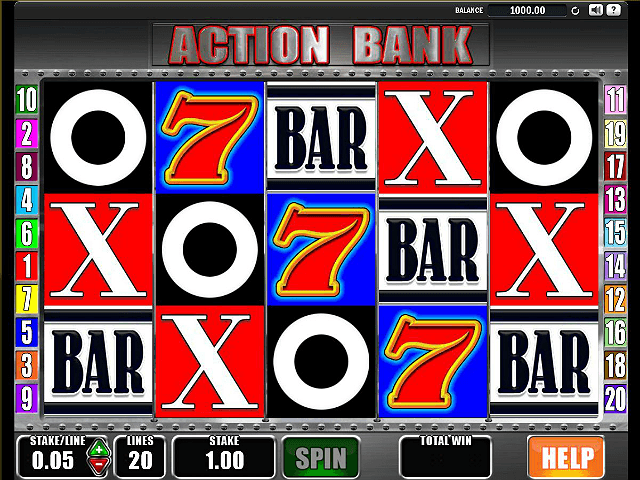 This classic style slot game is populated by Noughts, Crosses, Lucky 7s and Bars. The Noughts are losing symbols, while the Crosses can bag you a prize on any winning line. The Lucky 7 symbols are the ones to look out for, potentially paying up to 500x your bet. Kerching! The simple slot is a breeze to play. The game doesn’t have a colourful theme like most other topnotch slots, as it’s more about unlocking a bank vault using simple noughts and crosses. Its simplicity makes it all about the fun and there are some cracking bonus features to inflate your payouts (more on those in the next section). This online slot has a top jackpot prize worth a staggering 250,000 coins. 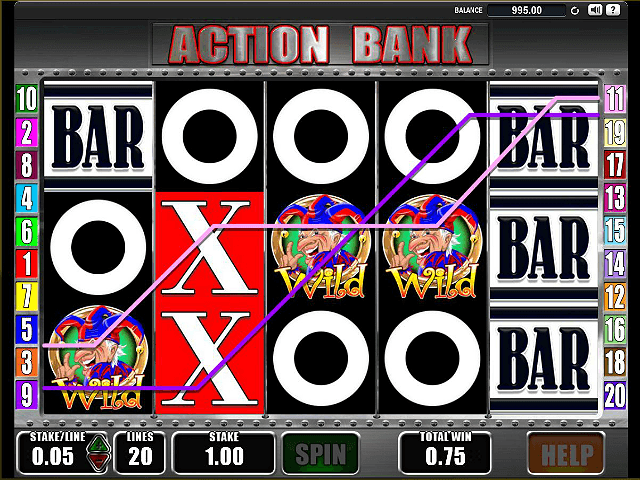 The gameplay does offer an AUTOPLAY button for players to play multiple spins when they know they won't want to change their stake. For any inquires about gameplay not covered here, the HELP button will lead players to a wealth of useful info including the payout table. This money-themed slot game has two bonus features, including the Big Bank Bonus and a Free Spins game. The Golden Vault symbol acts as the Scatter: hit five of these Scatters to activate the Free Spins bonus round. Here you can land between five and 35 Free Spins depending on which vault you pick. Things get more exciting here, as you can gamble your Free Spins before you’ve played them in a bid to win even more. Within the Free Spins round, the Crosses, Bars and Lucky 7s can show as double symbols too, which can payout bigger prizes. You can also re-trigger the Free Spins game for more payouts, if you crack the right symbols. The Action Bank Big Bank bonus is where the big hauls come into play. This bonus feature is triggered at random during the Free Spins round. You must pick from one of the bank vaults and, depending what’s inside (diamonds, rubies or sapphires), you’ll receive a Multiplier of a different value. Remember, the diamonds offer the highest value Multiplier. So get cracking! Share this Action Bank Review today! 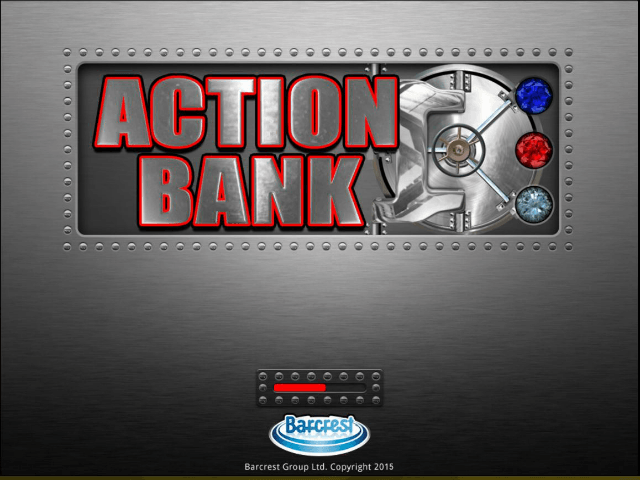 If you like Action Bank, you'll love these slot titles too!